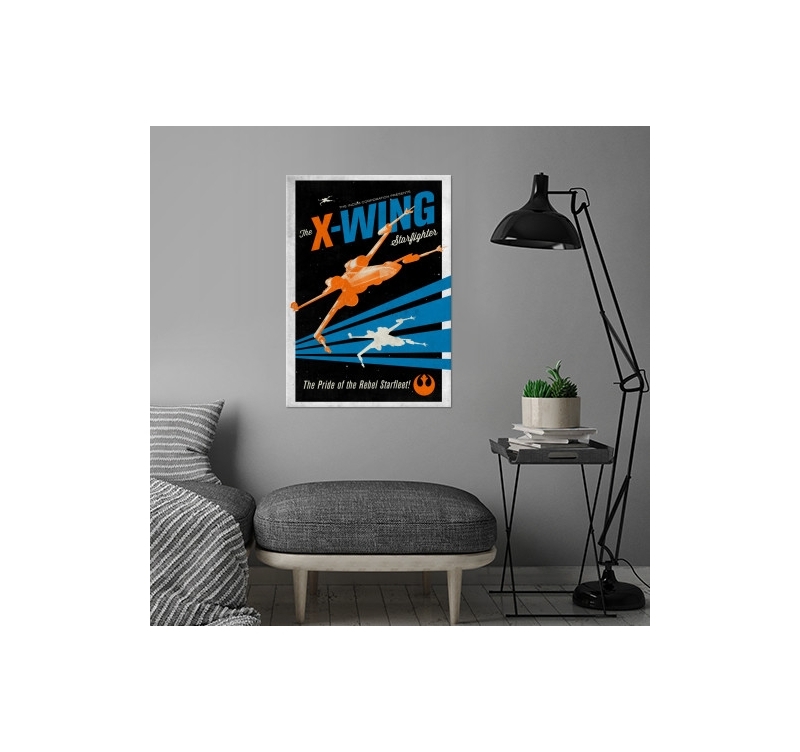 This metal poster is dedicated to the stellar hunter X-wing. The pride of the Rebels Forces of Star wars on a retro poster. Dimensions of this vintage poster are 48 x 67.5 cm. 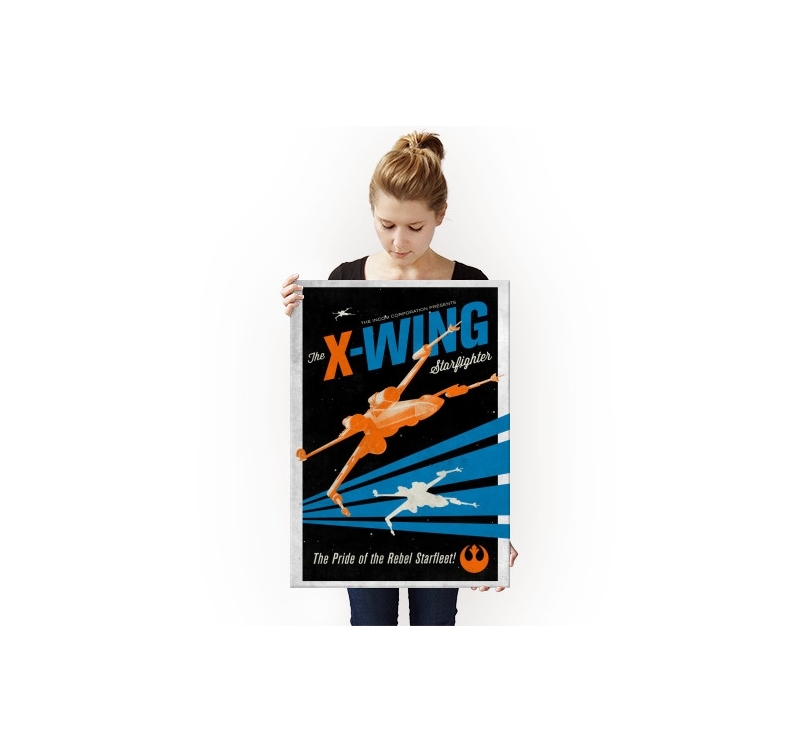 Free delivery in Metropolitan France and Belgium for this Star War wall poster. The X-Wing hunter on a retro poster got his name from his wings that spread out X-shaped when fighting. 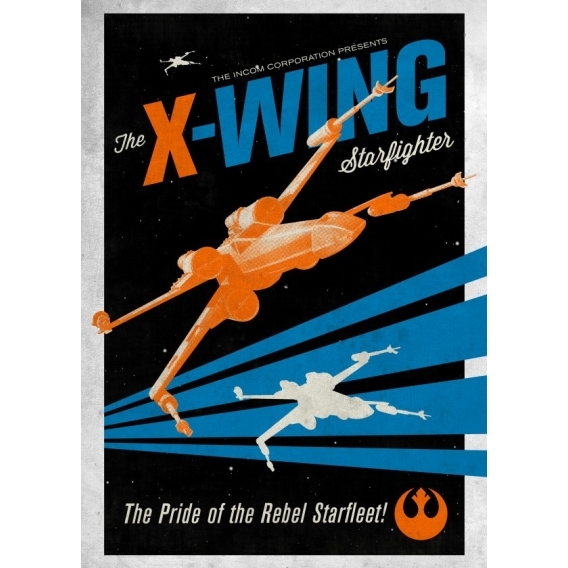 The metal poster highlights the agility of the Starfighter on a background as dark as the intergalactic space. The X-Wing fighters have inspired a series of novels whose cover this Star Wars metal poster could easily be. 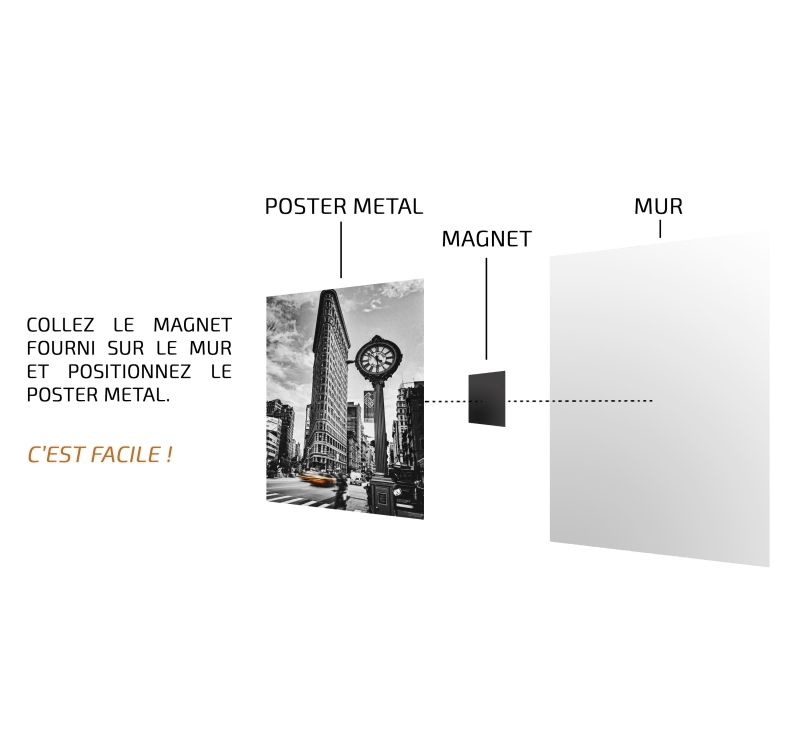 The metal decorative poster is made in high definition to ensure deep and contrasted colours. 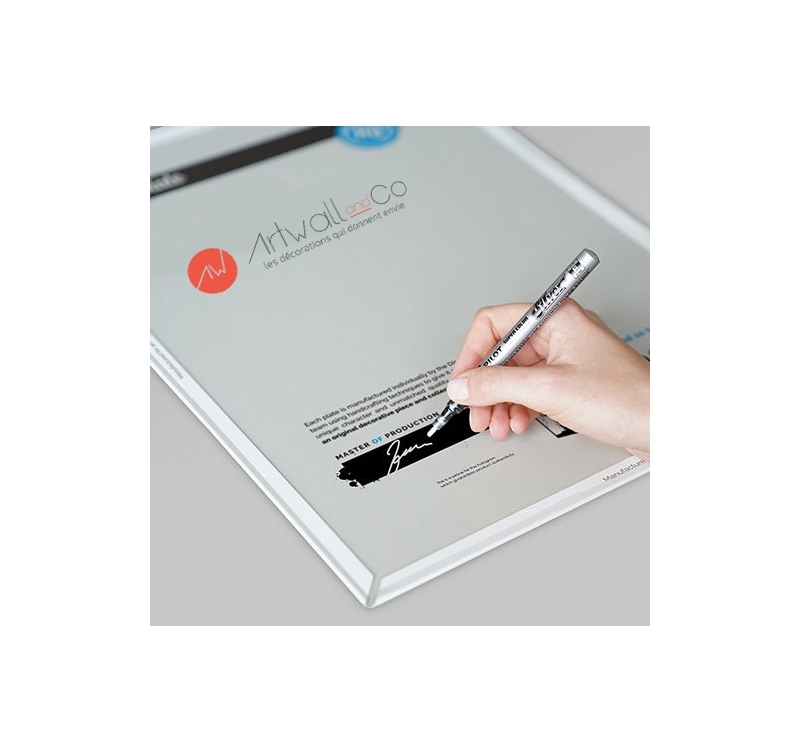 The work on a deco metal plate is one of the many original creations proposed by Artwall and Co to complete an exclusive metal posters collection. They are hung up in a few seconds thanks to a self-sticking magnetic system that is as inventive as it is practical.